Bioexcel Himalayan salt crystal lamps are made from the 100% natural medium pink crystal salt hand mined in the Himalayan mountains. The color ranges from a light pink to a pinkish orange as a result of the mineral concentration. Within the hollowed-out of this crystal salt is a light bulb that emits both light and heat. The Salt Lamps come with small plate to Diffuse Essential Oils.This crystal salt lamp is the perfect solution to beautify and freshen your room. The therapeutic salt lamp is UL approved with an attractive round wooden base. Box includes two beautiful Himalayan salt crystal lamps, three 15-Watt bulbs and two power cables. These natural rock salt lamps are made from salt crystals taken from the Himalayan Mountains. When lit with the included bulb, it gives a warm amber glow, comes with special Plate for diffuser essential oil. 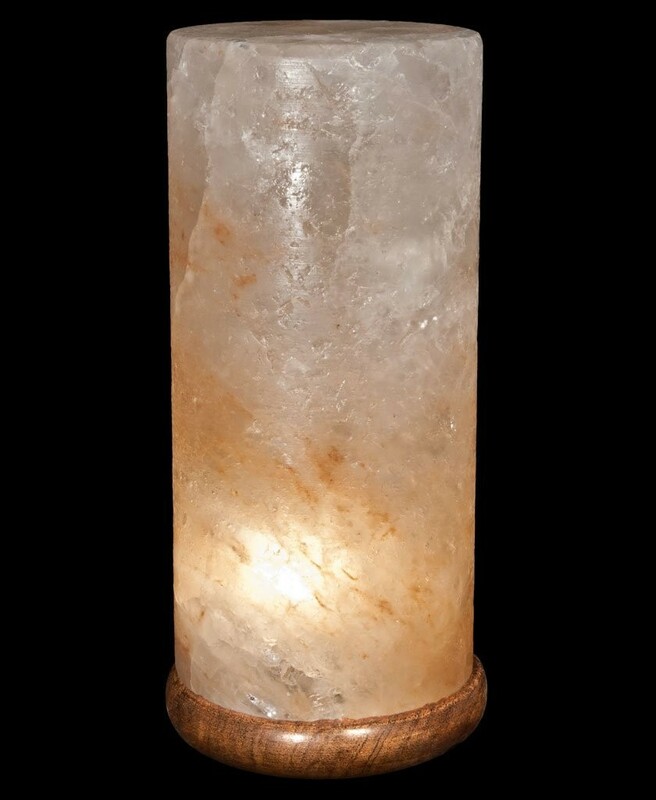 Himalayan salt crystal lights works to enhance the ionic balance of your living spaces. When heated Salt Crystal Lamp emits negative ions that fight against electromagnetic radiation. The naturally ionized air also helps you sleep better at night, allowing you to wake refreshed.